The Pacific Northwest with its unique cities, charming small towns, scenic waterways and majestic mountains is one the most is one of the most stunningly diverse regions in the world. 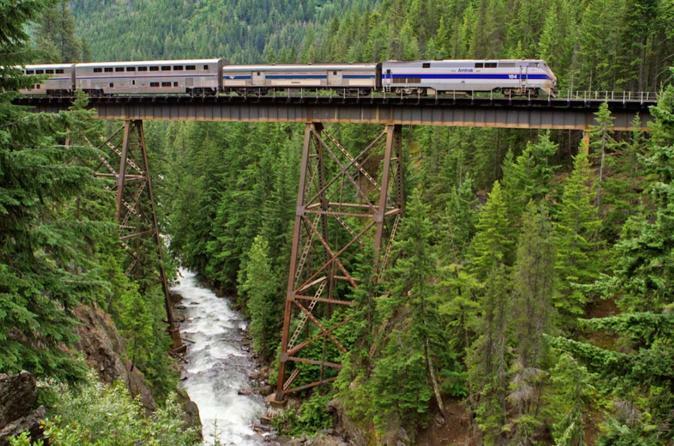 The 6-night NW Explorer introduces you to Washington and Oregon and the Northwest lifestyle while offering two unique train rides. Enjoy the rugged Mountain views and Bavarian charms of Leavenworth. Take a journey to the rolling hills of Eastern Washington and Wine Country. World class wine awaits as you travel the pioneer trail to “Washington’s friendliest town,” Walla Walla. In Oregon, the historic Western town of Pendleton is your gateway to the Volcanoes and Waterfalls of the Columbia River Gorge. Portland Oregon, “the City of Roses,” has a style all its own.